Two days after my screening, I was having dinner with my girlfriend at a rundown brew pub. One of the three TV’s above the bar was playing 1984’s Breakin’ 2: Electric Boogaloo. Even with the sound off, the terrible dialogue and groan worthy story was masked by bright neon costumes and high kicking dance choreography. It was a palate pop of infectious, undeniable energy. After a few minutes, I realized why I was enjoying something so obviously bad. The directors didn’t set out to make something wonderfully corny. They made a movie they loved. Time had aged it into delicious 80’s cheese. Wes Anderson is a modern day wizard, a stylistic auteur with a refreshing sense of childlike wonder. He’s at his best when his off-beat sensibilities serve the story, ala Rushmore and Moonrise Kingdom, but his latest effort, The Grand Budapest Hotel, doesn’t feel as natural as his previous efforts. Despite it being an energetic dose of easy, breezy, well made fun, Budapest tries a little too too hard to be the weird kid at the lunch table. 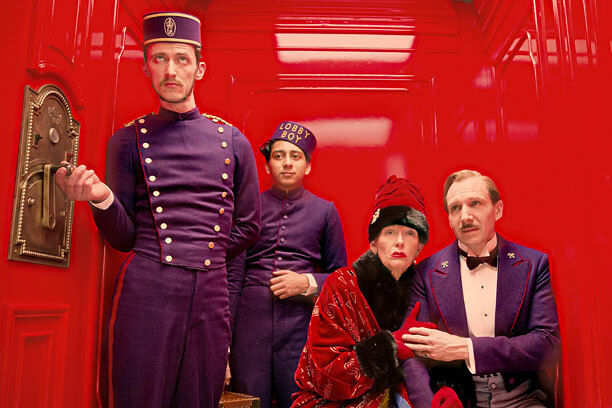 The story of Grand Budapest is a tangled caper surrounding Gustave (Ralph Fiennes), the concierge of the title hotel and his lobby boy, Zero (Tony Revolori). After Madame D, a hotel regular, suddenly passes away, Gustave finds himself the heir of a priceless painting. With an enraged family at their heels, the pair hit the road with their newfound prize and set a series of strange events into motion. Visually, the Wes Anderson toolbox is used to its fullest extent. Featuring his signature jerky actor movements, smash cuts from tight to long shots and purposefully silly effects, fans of his quirky style will feel right at home. One of the most striking techniques is a lack of frame depth, making each scene look as if it were constructed from cardboard cutouts. An indie rollercoaster, Budapest barrels along its 90 minute runtime at breakneck speed, so much so, much of the story is lost in the dense dialogue and frenetic pace. In the leads, Fiennes and Revolori have a nice, unassuming chemistry as father/son figures. Fiennes delivers the overly dense lines with rapid fire precision and while Revolori’s Zero doesn’t have much to do than woodenly react, it’s a nice point/counterpoint. There’s also a side story where Zero falls for Agatha, the local baker’s daughter (Saoirse Ronan), but the scripted flatness of the two characters fail to generate any spark or intrigue, a shame considering how good Anderson is at writing sweet, honest romances. To fill the frame around Gustave and Zero, the director employs his usual parade of well known regulars. Some highlights include Jeff Goldblum, who’s wonderfully dry as Madame D’s executor, Adrian Brody as the deceased’s vulgar son and Willem Dafoe, an actor who plays creepy like no other can, as the family’s hired killer. The cast is expectedly all around solid, even when only given a few minutes of screen time. With a supporting cast list that reads like an Oscar after-party, it’s clear all the cool kids in Hollywood want to be in a Wes Anderson movie. Unfortunately, there’s not much work for anybody to do aside pulverize pages of dialogue and make the occasional silly face. Unlike Moonrise Kingdom, the characters are as flat as the screen they’re projected on. More puppets than fleshed out people, even the leads have little else behind the eyes except for a back story and the occasional hammered in moment of tenderness. There are some subtle themes about the passage of time and nostalgia for days gone by, but they are steamrolled by the exhausting pace and tissue paper characterization. 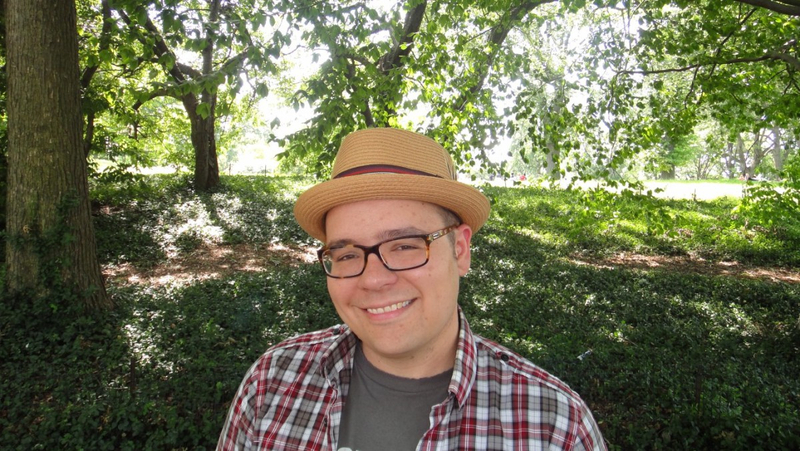 Just like you can’t force comedy or can’t create camp, you can’t manufacture quirkiness. Despite the enchanting visuals, occasional humor and inexhaustible energy, The Grand Budapest Hotel is Wes Anderson trying way too hard to be Wes Anderson. Good character development is sacrificed for film geek cinematography, solid storytelling is axed for smarmy dialogue. It’s all wonderfully entertaining but desperately thin. The movie is cinematic chocolate lava cake; delicious when you’re eating it but twenty minutes later, you’ll be hungry for something else. Budapest is a minor Anderson movie, a fun diversion for fans of his signature style and another bullet in the chamber for those who find him insufferable. Here’s hoping this is a tasty appetizer that sets up a more substantial main course.